Moriba Jah grew up in Venezuela and then joined the US Air Force, where he was tasked with guarding nuclear missiles in Montana. Inspired by conversations with the engineers and technicians maintaining the missiles, he began to study – a path that took him to a PhD in Aerospace Engineering. Dr. Jah then worked at NASA’s Jet Propulsion Lab, where his job – as a “Spacecraft Navigator” – was to land rovers on Mars! 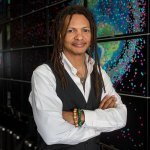 Driven by his environmental concerns, Dr. Jah is now a Professor at the University of Texas at Austin and one of the world’s leading experts on space junk. He is an incredibly charismatic and dynamic speaker who can explain complex science in an entertaining and accessible way. Dr. Jah joins the Salt Spring Forum at the Gulf Islands Secondary School (Multipurpose Room) on Thursday, April 11 at 11:15 AM to 12:30 PM. He will be visiting Salt Spring Island en route to delivering a TED Talk in Vancouver. There are already 500,000 pieces of junk larger than one centimetre in Earth’s orbit. Some are dysfunctional satellites; others are discarded rocket stages. Most are the result of collisions between such objects. Humanity now risks losing safe access to key orbits as a result of runaway space junk. Fortunately, space junk can be addressed through a combination of international cooperation and technological innovation. 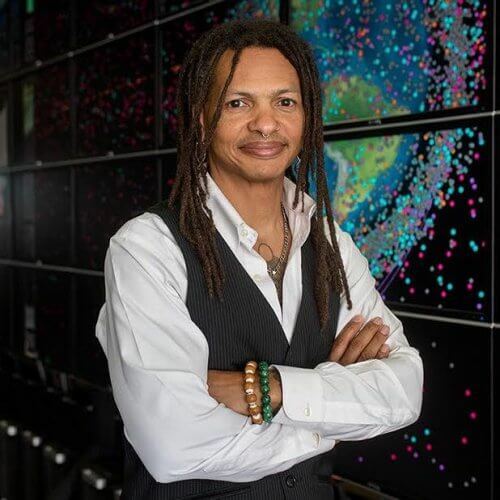 Dr. Jah is leading the international effort to identify and track space junk, and has represented the United States on the delegation to the United Nations Committee On Peaceful Uses of Outer Space. He recently provided testimony to the US Congress on this topic as well. The Salt Spring Forum is excited to partner with the Gulf Islands Secondary School in an event that will fascinate both adults and students alike! Tickets are currently on sale at Salt Spring Books and through Eventbrite. Complimentary tickets available upon request for those in need by contacting forum@saltspringforum.com. Students can attend this event for free and do not need to prearrange a ticket. This event is sponsored by Country Grocer and also supported by the Salt Spring Island Foundation.